On the horizontal axis, you can see the analysed countries. The vertical axis shows the corresponding number of comments per 1000 users. Thus, it is already clear at first sight that Colombia has performed best. Approximately every 200th visitor left a comment here. Brazil had the lowest numbers. They count just one comment per 1000 users. In Colombia on the other hand, users write comments about five times than that number. Poland, Czech Republic, Austria, Saudi Arabia, Spain and Portugal also fall around 1 comment per thousand users. In order to present the results more clearly, we have formed three different groups which differ in their extent of activity. We have therefore assigned the aforementioned countries to the “passive group”. In the diagram, these countries are marked red. 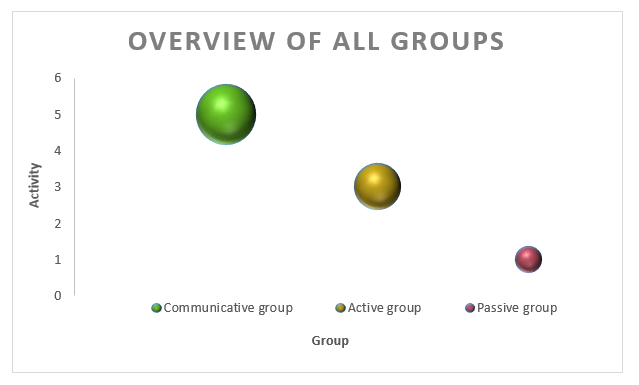 The groups are displayed on one axis and the activity in comments per 1000 users on the other axis. In addition to Colombia, the usera in Mexico, the USA and Canada, Indonesia and Switzerland also write comments diligently. In these countries, about every 250 visitors, writes a comment at tellows. As these countries rate numbers more often than others, they belong to the “Communicative Group” and have been marked green in the graph. 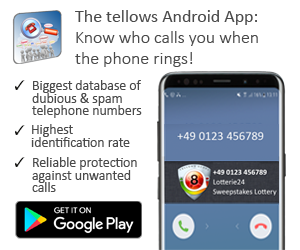 Because of the active users in these countries, we can already provide a lot of information even for a small number of queries and warn users against dangerous phone numbers earlier. Next to the communicative and passive group, there is also a midfield, which is marked yellow in the diagram. The so-called “Active Group” also includes the United Kingdom. Here are about two comments written per 1000 users, which means that about every 400th visitor submitted a comment. This ratio is similar in Italy, Germany, France and Venezuela. Germany and Italy have shown the highest number of users for several years, which suggests most of the comments are submitted there. Contrary to this expectation, obviously many people in these countries are looking for numbers, but they are not as diligent as writers as those in the countries of the communicative group. In Colombia, there are still twice more comments in comparison to these countries. On one axis you can see the number of usage via mobile devices in percent and on the other axis the percentage of the respective group. The leader with 86% of mobile device usage is Saudi Arabia. In Colombia, the comments are mostly published on the desktop version of our site. 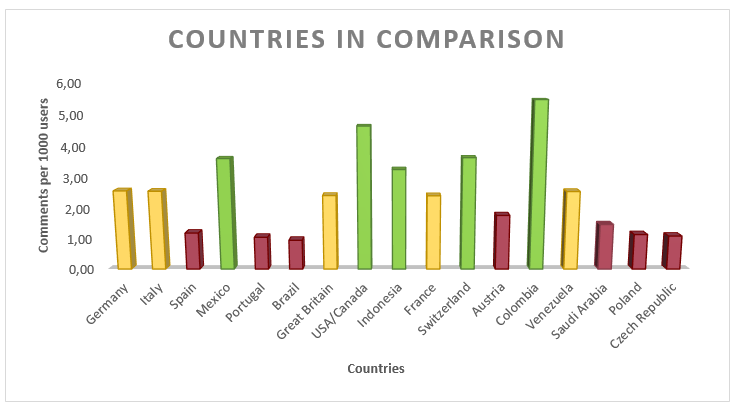 When looking at the selected countries, it becomes clear that more than 50% of visitors only use mobile devices to search for telephone numbers and that on average every 500th user writes a comment. We are very proud of these results and want to thank you for the numerous page views and comments. 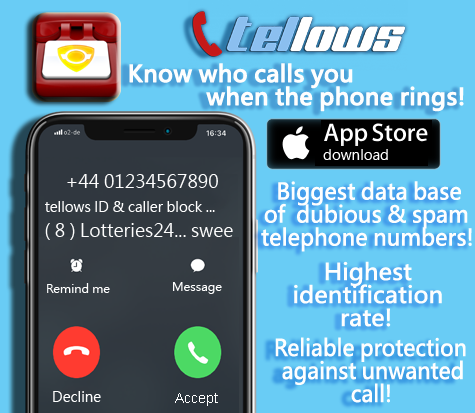 Your comments can protect other people from dangerous phone fraud. If you want to leave helpful feedback, you can visit the tellows homepage.